The Highlands is renowned for its world class courses, with over 150,000 golfers visiting the region every year to play and enjoy the unique scenery. There are several golf courses within an hour from our Hotel, so you’ll be spoilt for choice when deciding where to tee off. Brora Golf Club is located right next to our Links Apartments, just a few minutes’ walk from the Hotel. Established in 1891, the 18 hole course was redesigned by James Braid, the five times Open Champion and prolific designer of golf courses, including Gleneagles and Carnoustie. As a traditional seaside links course, you’ll need every club in your bag to reach the 18th hole. 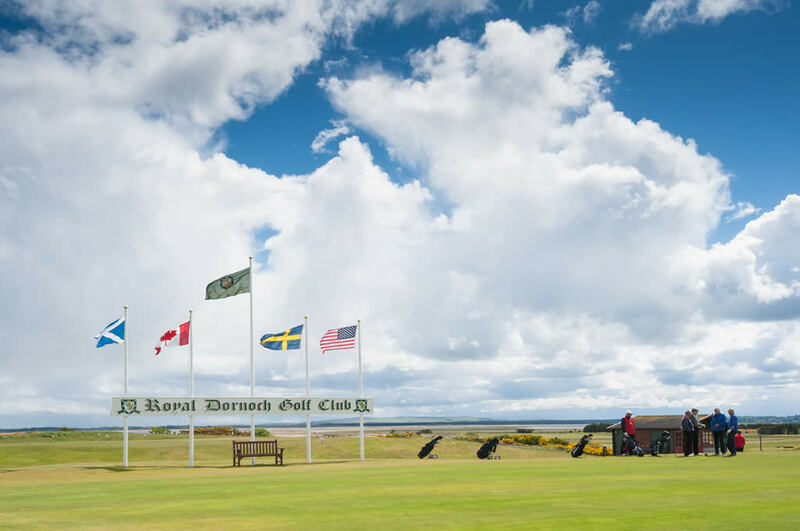 20 minutes from our Hotel, the Royal Dornoch Golf Club commands stunning views over the Dornoch Firth and as a championship course, is considered to be one of the best in the world. Established in 1877, the course covers varying degrees of difficulty thanks to its raised or sloping greens and is considered to be a “thinking golfer’s course” where a successful round requires a higher objective than simply keeping the ball on the fairway. Ten minutes away lies Golspie Golf Club, one of James Braid’s creations that combines classic links, heath and parkland holes. 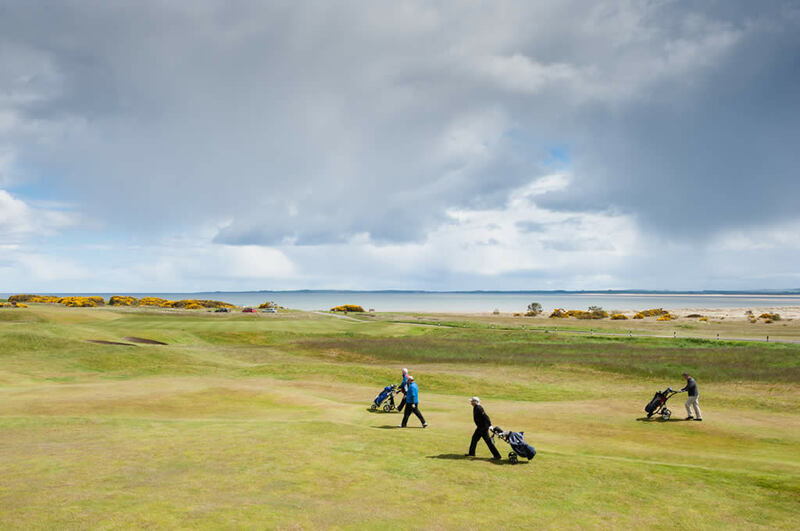 The layout of the course is easy to walk and golfers can enjoy the scenic backdrops of the Dornoch Firth and Ben Bhraggie. 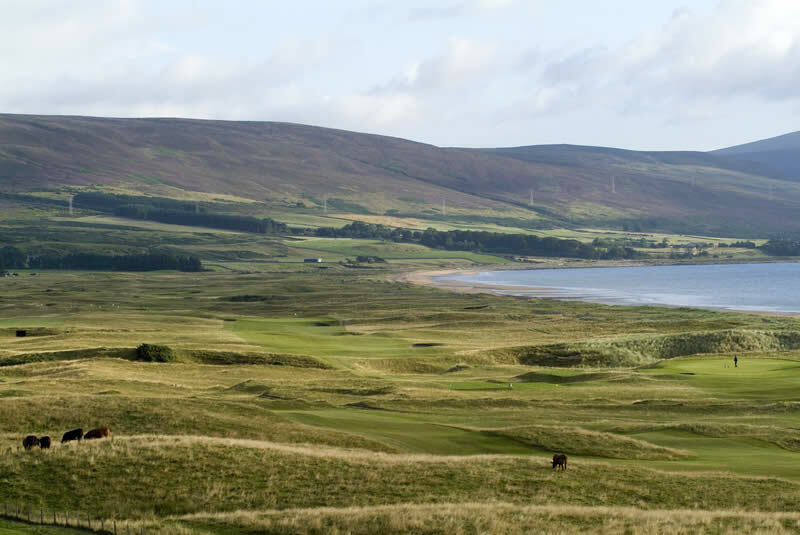 Tain Golf Club shares the same setting of the Dornoch Firth and is 35 minutes away from Brora. 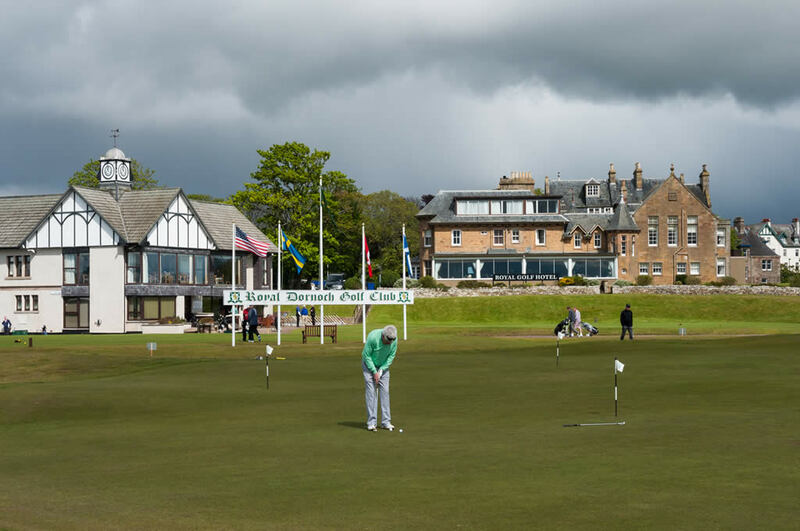 Designed by Scottish golfing pioneer Old Tom Morris, the layout suits beginners and experts alike and thanks to the location, the course enjoys shelter from the weather, seldom requiring the use of winter greens. Established in 1904, Bonar and Ardgay Golf Club has undergone several modifications throughout the decades, but never losing its stunning views over Loch Migdale. Located 40 minutes from our Hotel, the course features a warm-up facility with two nets, bunker and putting green, giving you plenty of practice before teeing off. Take a day trip to the north west of Scotland to Durness Golf Club, 2 hours 20 minutes from Brora. One of the newer golf courses in the region, there are just nine holes to conquer, but the construction of 18 tees plus a combination of natural and manmade hazards make it an enjoyable course for even the most accomplished of players. A championship links course overlooking the Moray Firth, Castle Stuart Golf Links was first played on in 2010 and has been rapidly building a national and international reputation since then. Just over an hour from our Hotel, the course design incorporates clever use of mounding, meaning that each hole is played in isolation and must be conquered before finding out where the next one lies.